Prabashi (UK charity reg. no. 1148232) is a social and cultural organisation based in Hounslow, London. 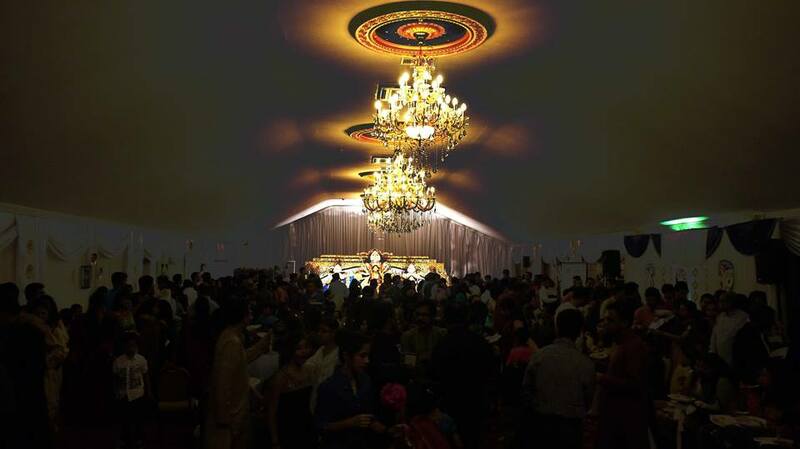 Prabashi aspires to bring the east to west and to harness the best of both worlds. 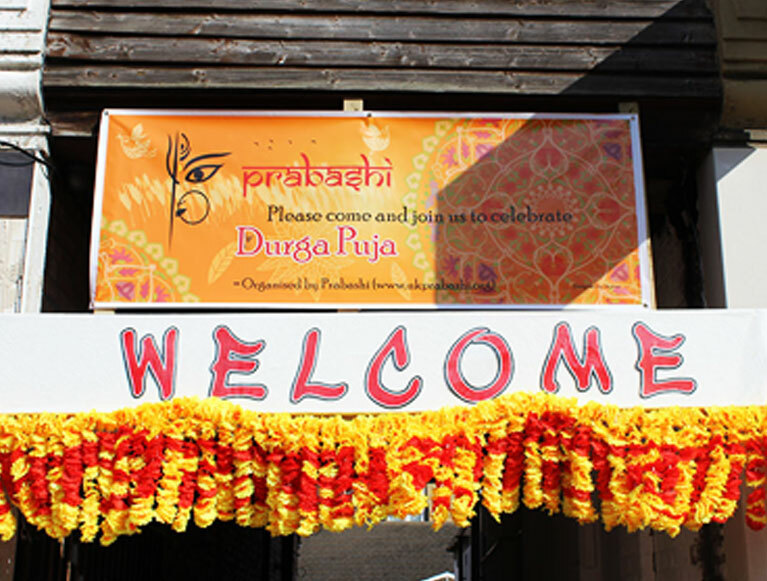 Prabashi is a non-profit community based organization in Hounslow, Greater London. We are a small, close knit community celebrating the spirit of togetherness by promoting community brotherhood in the form of events that brings to light our rich and renowned traditions. 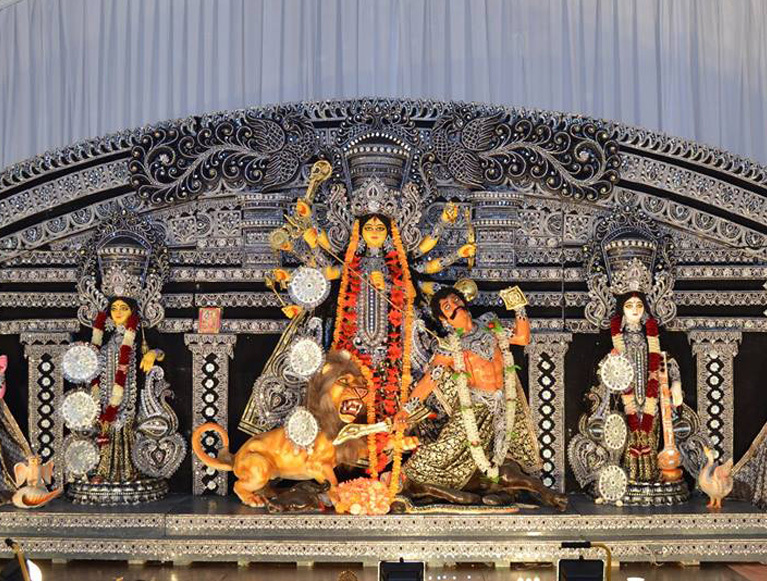 This is a very important day when ritual preparations are made to begin the Durga Puja. These preparations are mainly three: Kalparambha, Bodhan, Adhivas and Amantran. It is mainly an act of making the samkalpa or ''sacramental intention'', the firm determination to conduct the Puja properly during the three days. The ritual consists of installing the ghata, water-filled copper pot, at a corner of Durga mandap and offering worship to Durga and Chandi. This rite is performed at the Sandhya or dusk. The word ‘Bodhan' literally means ‘awakening'. As per the Hindu mythology holds that all gods and goddesses go to sleep for six months during the southward journey of the Sun. Autumn (Sharat), during which Durga Puja is done, falls in the middle of this period. 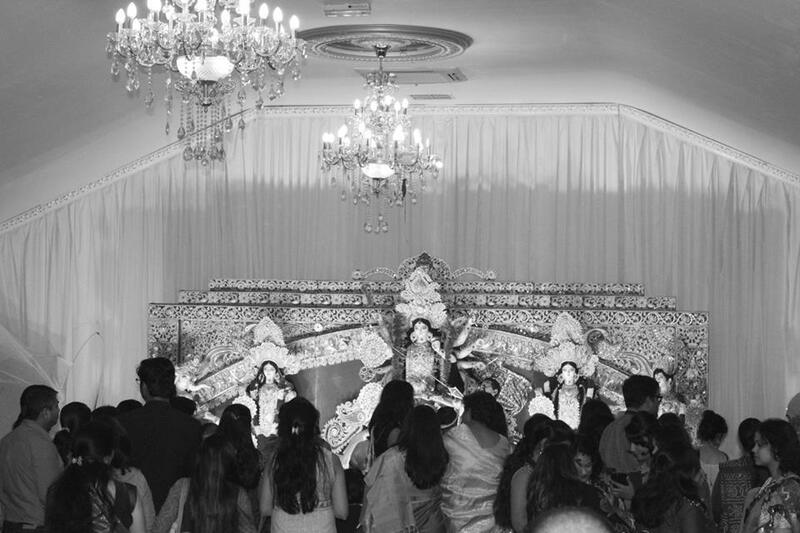 Hence it is necessary to first of all awaken the deity Durga. The awakening of Durga was first done by Sri Ramachandra who wanted to propitiate the Goddess before fighting Ravana. These rites follow Bodhan. Adhivas means ''invocation''. Through Bodhan the Devi has awakened: now the awakened Devi has to be invoked in the Bel tree or branch of the tree. Adhivas is also a ritual of sanctification. The actual ritual consists of the following main steps. 2. Twenty-six sacramental things (mangalik dravya) are sanctified by touching Devi Durga and the Bel tree with them. 3. 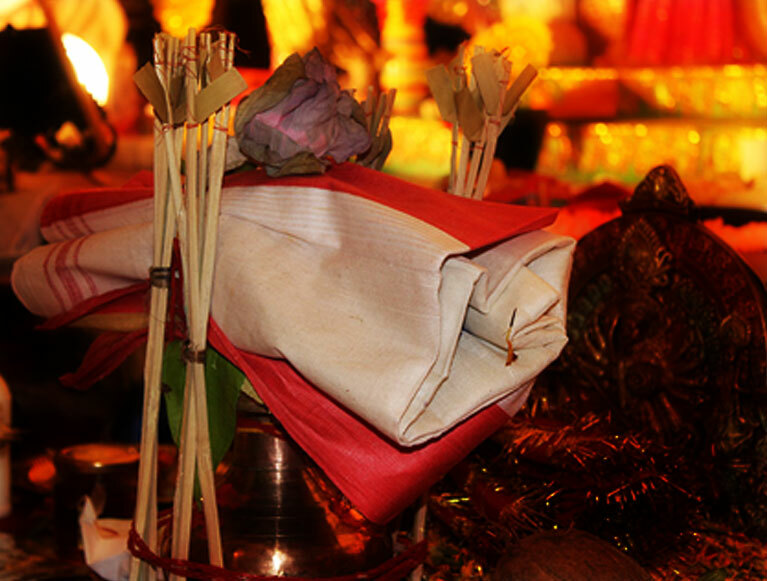 To ward off evil effects, a red coloured thread is tied around the altar where Puja is done. 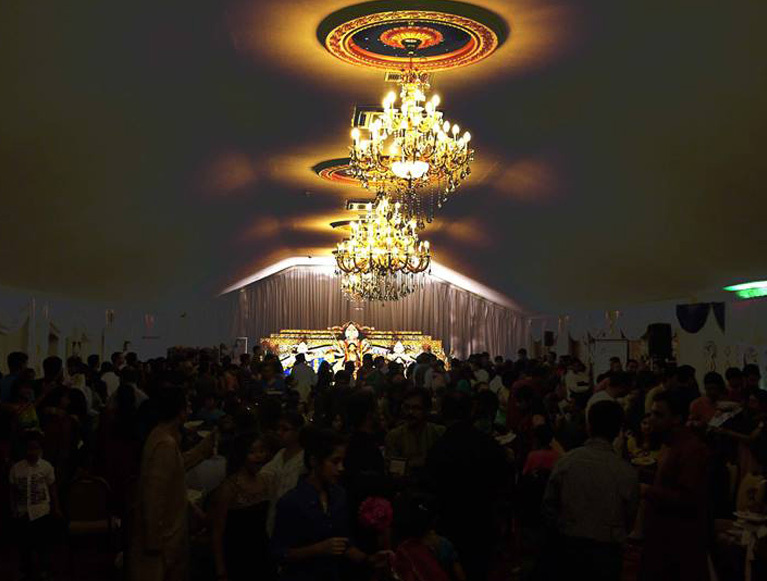 The above ritual is followed by Amantran which literally means ''invitation''. 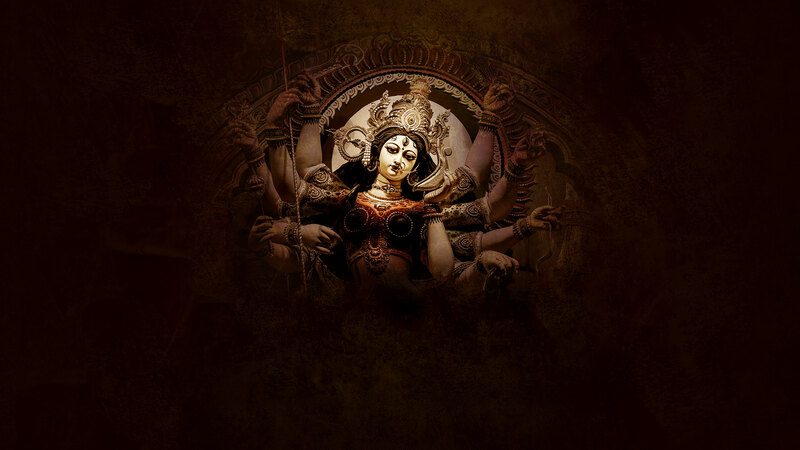 Through this rite the Devi is invited or entreated to accept the Saptami Puja. After this, Devi is worshipped with five items and Arati is done to Her. On the seventh day the Deity is invoked in a group of nine plants known as Navapatrika. 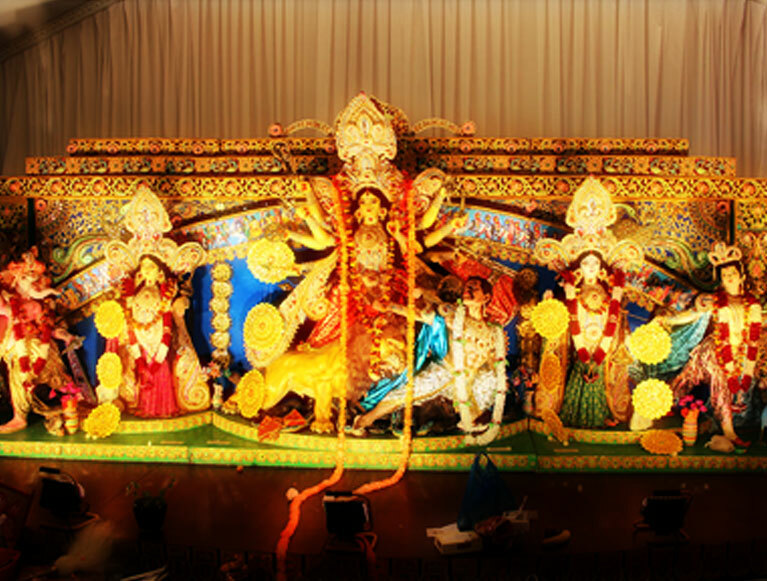 The nine plants, which include a branch of Bel tree also, are bundled together, given a ceremonial bath, covered with an orange coloured cloth and installed on a wooden seat on the right side of the image of Durga. This is followed by Mahasnan (great bath) on a mirror, using various materials. After this, consecration and divinization of the image, known as pranapratishtha, takes place. 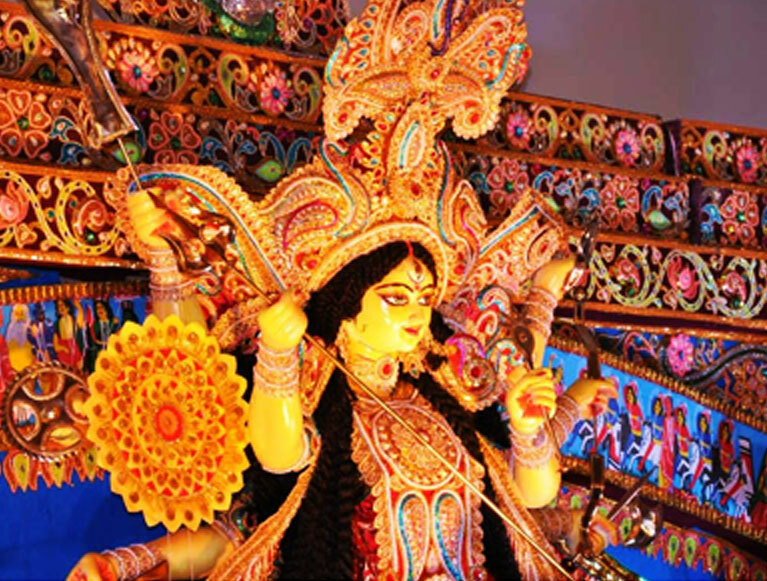 This is followed by elaborate worship of the Devi with sixteen items (shodashopacharapuja). The other deities, attendants and other objects associated with Devi are then worshipped. 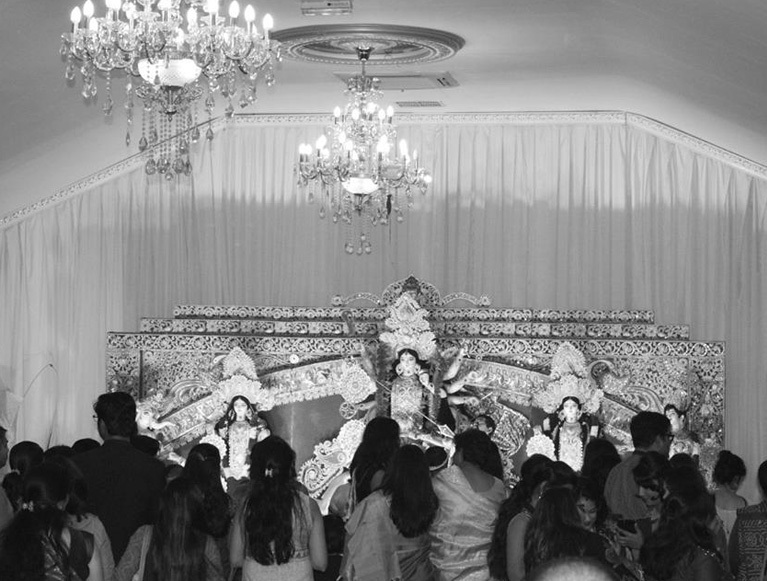 The Seventh Day's Puja is concluded with bhog (food offering) and Arati to Devi. 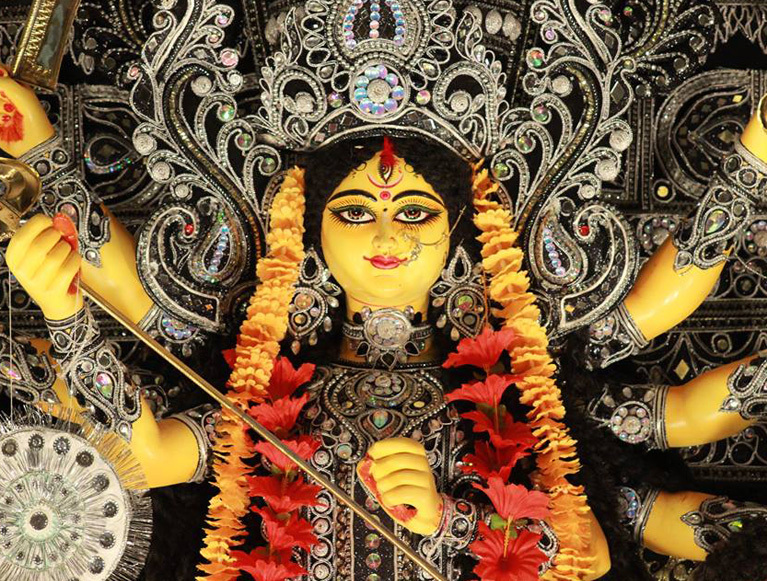 Worship of a young girl, treating her as Devi, is also a part of Ashtami Puja. The same kinds of offerings made to the Devi are given to the Kumari also, Arati is performed and finally offer flowers at her feet. 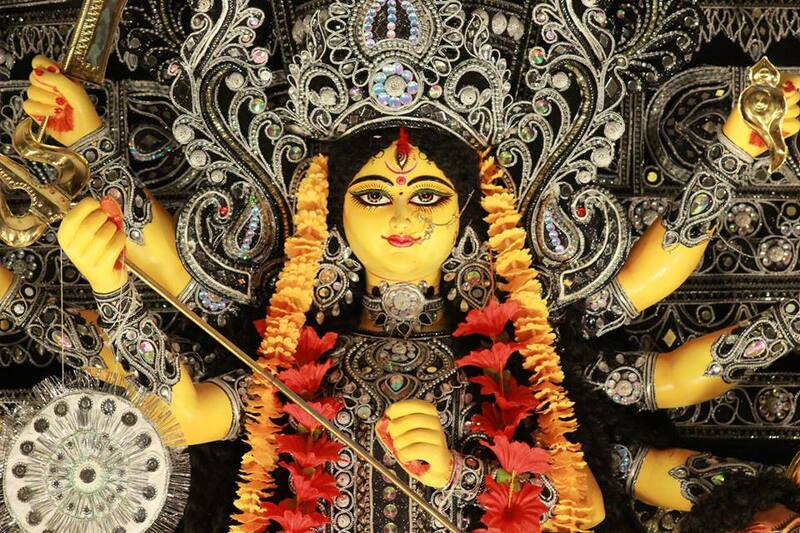 The last 24 minutes of Ashtami and the first 24 minutes of Navami (a total of 48 minutes between the two lunar days) constitute the Sandhi or ''Sacred Juncture''. 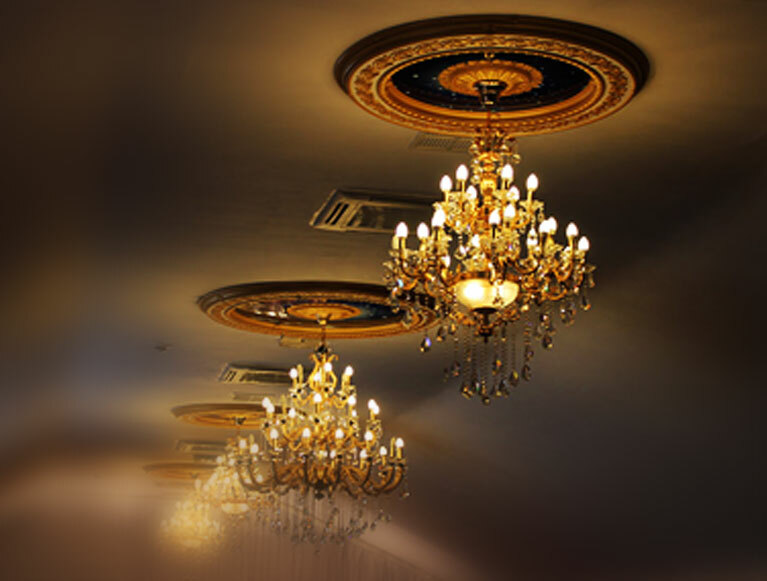 It is considered to be a most auspicious time. 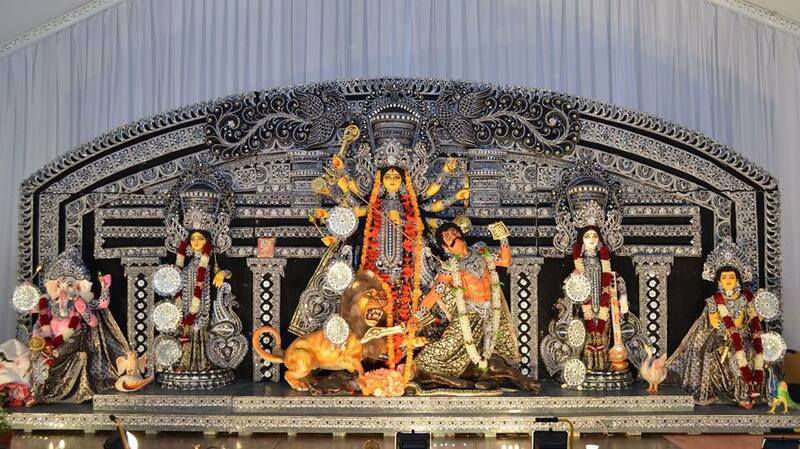 At this time Durga is worshipped as Chamunda (that is, Kali who killed the demon Chanda and Munda). 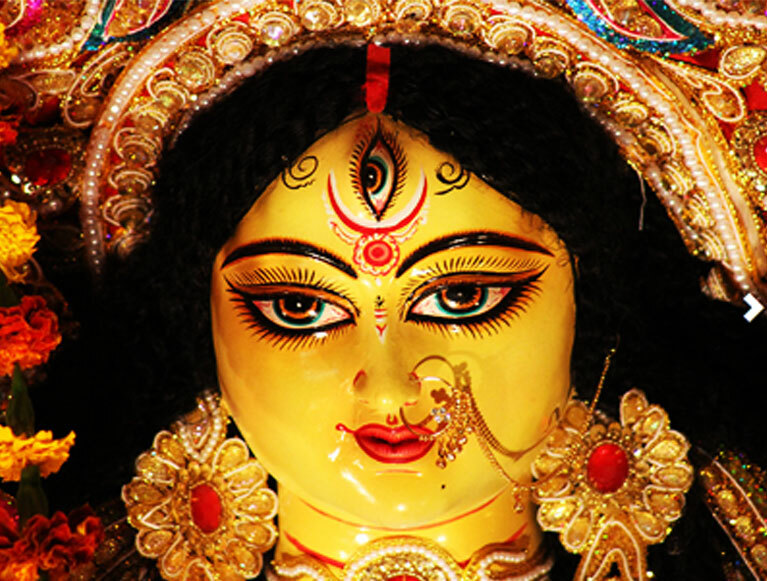 This Puja is considered to be the highest point in the whole Durga Puja and the most important ritual. As in Ashtami, during Navami also Mahasnan and Shodashopacharapuja are offered to Devi. In addition,bali and Homa are performed. In the morning a brief Puja, Shital bhog (cooling food offering) and Arati are first done. Then circumambulate the altar and perform the visarjan ritual. In this ritual the Devi, who had been invoked in the Navapatrika and consecrated Image, is entreated to return to Her celestial abode. The Divine Mother, however, dwells forever in the hearts of devotees.